Sports Direct - what went wrong? It's the ultimate PR nightmare and a lesson to all employers that how you treat your staff is as important as your bottom line. Mike Ashley's recent appearance before a UK Committee of MPs to answer questions about alleged employment practices within the company drives home the importance of creating a good atmosphere and culture within your business. Some of the allegations about employment practices, such as a woman giving birth in the toilets as she was too afraid to take time off work, are absolutely horrendous. It also does not matter if it's true - the name Sports Direct in front of any employment tribunal will almost certainly create some bias in a complainant's favour now. Employment law is there for a reason and ensuring compliance with it is the minimum a business should be doing for their employees. Employee wellness may be a buzz word but its purpose is worthwhile. A happy work force is a productive work force and will keep the journos at bay! If you need any advice on employment law compliance, handbooks and policies please contact a member of our Employment Team. 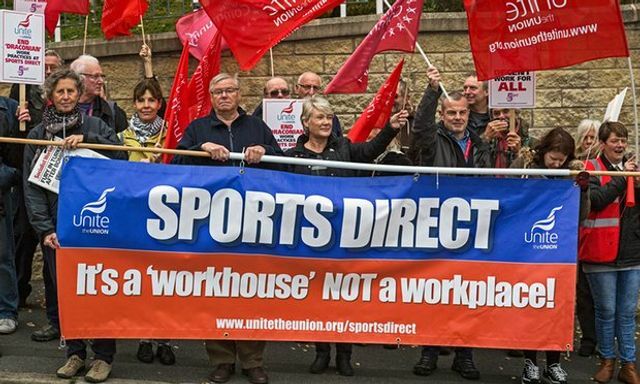 Sports Direct's Mike Ashley appeared before the Business, Innovation and Skills Select Committee yesterday, sparking a wave of dismay and surprise across social media about a number of illegal or immoral practices he admitted his business had taken part in.